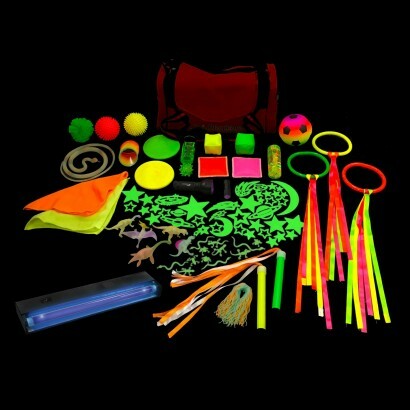 A large bag full of fun and exciting tactile toys that are UV reactive too, this large sensory kit has all you need for successful sensory play for individuals and groups. Each large kit comes complete with a medium UV blacklight strip, a large UV torch and a small UV torch to allow you to shine on the toys for striking fluorescent effects that encourage visual tracking and an understanding of light and colour. All of the toys can be bundled together in the handy carry bag included for easy storage and transportation.